Manufacturer of a wide range of products which include advanced diploma in astrological sciences, graduate diploma in astrological sciences and certificate in astrological sciences. 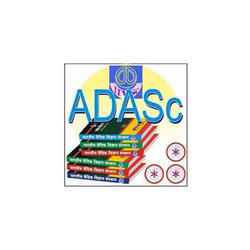 The Advanced Diploma In Astrological Sciences (ADASc) is two years course. Fee should be paid through Bank’s Demand Draft or cheque which is in favour of ‘The Institute of Indian Astrology And Vedic Sciences’ and payable at Jaipur. For admission the learner should fill up the prescribed admission form completely and submit to the office of the institution. The admission form can also be downloaded from the website. We offer Graduate Diploma in Astrological Sciences (GDASc) course. This is a three years diploma Astrology course which is provided through distance education. There are total 13 Astrology courses in this diploma. 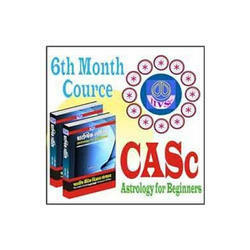 The Institute of Indian Astrology And Vedic Sciences (IIVSc) offers Certificate in Astrological Sciences (CASc). This is six months course and through correspondence. Fee should be paid through Bank’s Demand Draft or cheque which will be in favour of ‘The Indian Institute of Vedic Sciences’ and payable at Jaipur.